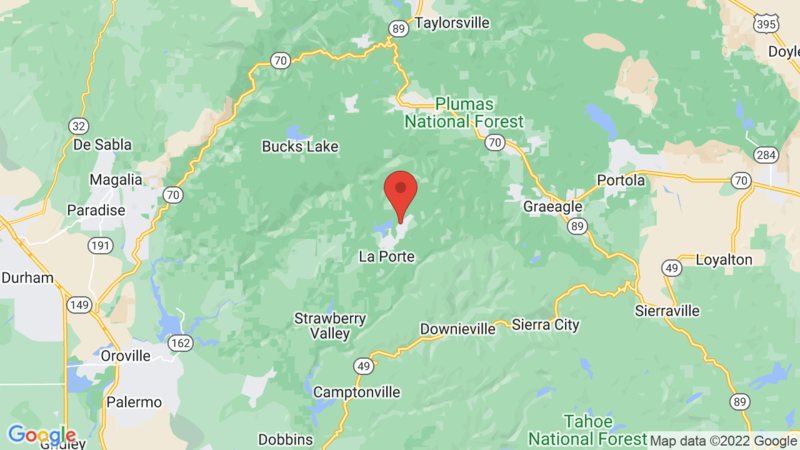 Running Deer campground has 41 single-family campsites and is located adjacent to the Little Grass Valley Reservoir in Plumas National Forest. Many of the sites overlook the lake. Campsites can accommodate tents, trailers and RVs. Each campsite also has a paved parking spur, table, fire ring and grate. Food storage lockers are also available. Campground amenities include drinking water and flush toilets. There’s also a picnic area and boat ramp nearby. The area offers a wide variety of outdoor recreation including boating, canoeing, kayaking, fishing, swimming, hiking, mountain biking, horseback riding and picnicking. There’s also a variety of wildlife to see here including – deer that run. Other campgrounds around Little Grass Valley Reservoir include Little Beaver, Peninsula Tent, Wyandotte, Red Feather and Wyandotte. 13, 14, 16, 18, 20, 21, 30. Visted Running Deer Campground lately? We'd love to hear about your adventure. Did you find us useful? Did we forget something? Anything our community should know before heading out to Running Deer?